Eight Tucson restaurants will donate their best chili for the public to sample and judge on Saturday. For $10, you can taste chilis of all imaginations during the Fun Chili Cook-Off at Jonathan’s Cork, 6320 E. Tanque Verde Road, Saturday, Oct. 13. The annual fundraiser helps send local boys and girls to overnight summer camp through the Arizona Daily Star’s Sportsmen’s Fund Send a Kid to Camp program. 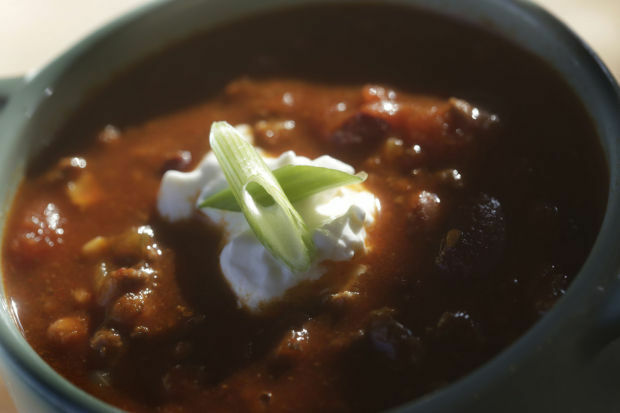 Local restaurants will donate their best chili — some made specifically for the event — for the public to sample and judge from noon to 2 p.m., or until the last spoonful is consumed. The chili cook-off has raised $165,579 for the Sportsmen’s Fund Send a Kid to Camp program since 2004. Tickets at the door are $10 for chili tasting from Casino del Sol, Eclectic Cafe, Fleming’s Steakhouse, Jonathan’s Cork (2014 and 2012 champion), Kingfisher Bar and Grill (2013 champion), Mama’s Hawaiian Bar-B-Cue (2017 champion), Rocco’s Little Chicago Pizzeria and Saddlehorn Saloon. In addition to chili while it lasts, raffle tickets will be sold and tequila tasted. The Send a Kid to Camp program raises money so economically disadvantaged kids and children from military families can go to YMCA, Boy Scout and Girl Scout camps and Camp Tatiyee, for school-age children and older teens with special needs, for little or no money. For more information about the Fun Chili Cook-Off, call Jonathan’s Cork at 296-1631. The annual festival features dazzling performances, unique art vendors, and food you can't get elsewhere.